Predatory Moon will be the directorial debut of screenwriter and F/X artist Shiva Rodriguez. Shiva developed an interest in makeup and practical effects when she was very young. She got her start by torturing her younger brother before getting involved in school theatre and television production classes. After graduating she worked in prop fabrication, F/X makeup, and costume design for theatrical events and Halloween attractions before landing a job in the wardrobe department of “Terror on Church Street” in Orlando, FL. 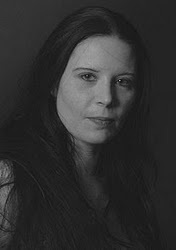 In 1998 she and her husband began producing stage plays and live combat shows, then ten years later they moved into working on film and video projects. While she primarily works as an F/X artist, Shiva has also developed skills as an art director, set designer, and screenwriter. She was recently involved with the feature films Dangerous People and Rough Cut, as well as the live-action comic series Moonie VS. the Spider Queen.